in the City of Omaha, NE? If you’ve been in an auto accident, you can get relief from chiropractic treatment. The West Omaha Chiropractic and Sports Injury Clinic have been helping people for over twenty years with injuries sustained in an auto accident. Our experienced chiropractors will design a program specifically for your recovery from pain and discomfort. They are the best and are ready to help! 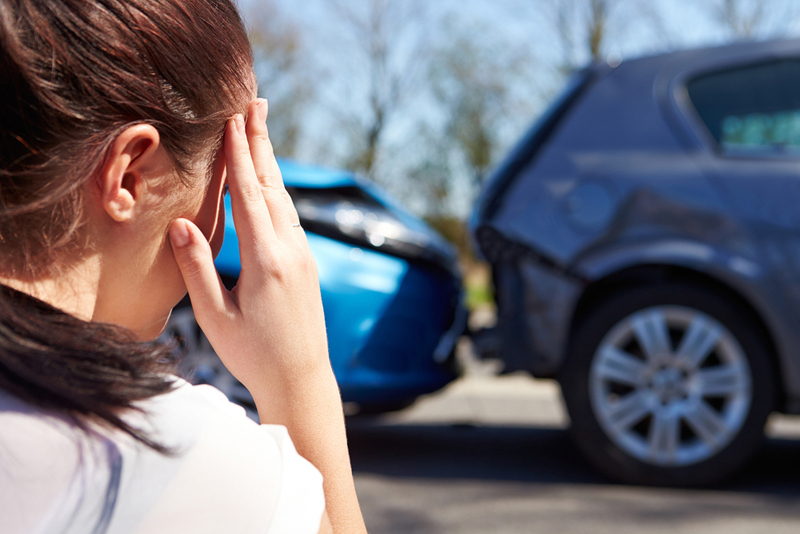 What happens with Common Auto Accident Injuries? Even minor “fender bender” accidents can cause injuries. Pain and discomfort can include headaches and sore muscles. Other symptoms may include muscle sprains or ligament tears. You can experience pain in your neck or shoulders. It’s important that you seek medical care for any type of auto accident injury. Soft Tissue Damage: Soft tissue damage occurs when your ligaments or muscles are injured during an auto accident. This type of injury ranges from bruises to sprained or strained muscles and ligaments. If you were thrown against your car door or steering wheel, you will undoubtedly have soft tissue injuries. Injuries to your ligaments cause pain in your joints. Whiplash is the most common of soft tissue injuries. Whiplash: Whiplash occurs when your head is suddenly moved back and forth forcefully. This causes stress on the bones in your neck. Whiplash can cause further issues for you, such as dizziness, shoulder pain, back pain, headaches, and trouble concentrating. Symptoms of whiplash normally start within a few days of an auto accident. Neck and Back Pain: Neck and back pain is commonly caused by injuries to your soft tissues. It’s important to note this type of discomfort may not show up immediately after your accident. It may take weeks or even months for you to notice pain in your neck and back. It can be caused by you compensating for an injury. How can a Chiropractor help with Auto Accident Injuries? Experienced chiropractors can help alleviate pain and healing from auto accidents. During your first visit to the clinic, you and your chiropractor will develop an individual plan to reduce your pain while your body is healing. Our West Omaha Chiropractic and Sports Injury Clinic offers a wide variety of services including chiropractic adjustments, long-term chiropractic care, massage therapy, and acupuncture. Contact our office for your chiropractic evaluation at (402) 334-4700 or complete our online forms to schedule an appointment.